Does the above look familiar? I presented this image March 11th to the New York City Council at the council hearing on the library budget as part of my Citizens Defending Libraries testimony. 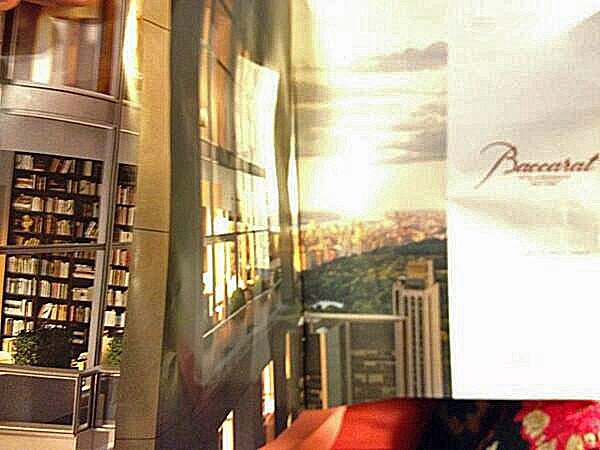 It’s the photograph of the real estate advertisement for the luxury Baccarat tower that had just run in the New York Times Magazine that oddly features prominently the library of the building’s $60M Penthouse. 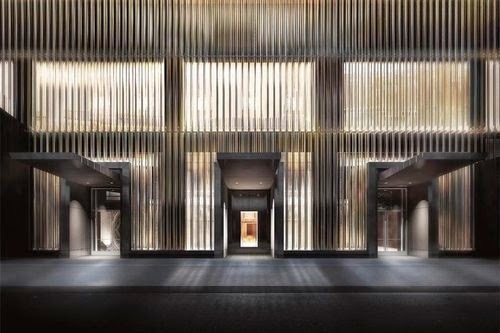 The luxury Baccarat is the 50-story building on the site of former Donnell Library, once a regional, destination library of high renown and much beloved, importantly located in central Manhattan across from MoMA on 53rd Street. The advertisement reappeared this weekend, again expensively placed, as the double page spread immediately inside the cover. 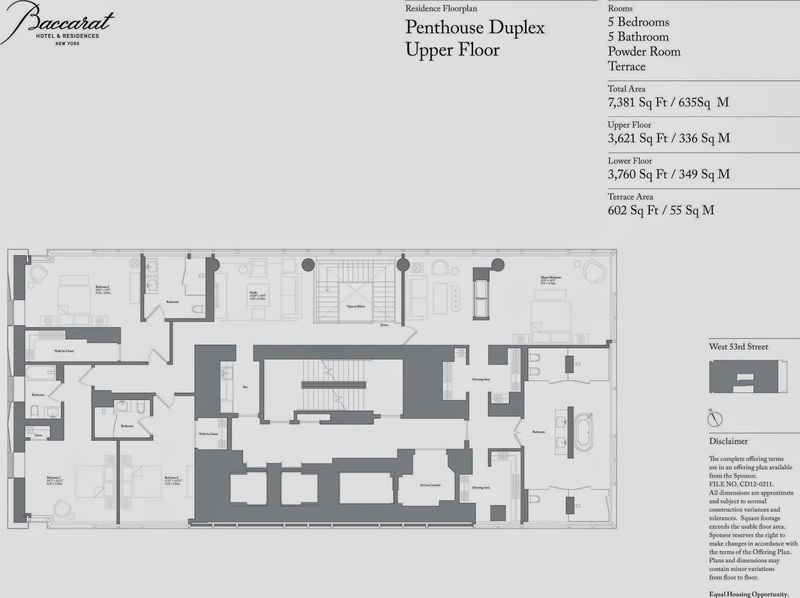 At the end of last month, the real estate site Curbed ran a “first look” at the penthouse providing more details about the luxury abode: First Looks, Floorplan Unveiled For Baccarat's $60M Penthouse, Thursday, March 27, 2014, by Hana R. Alberts. 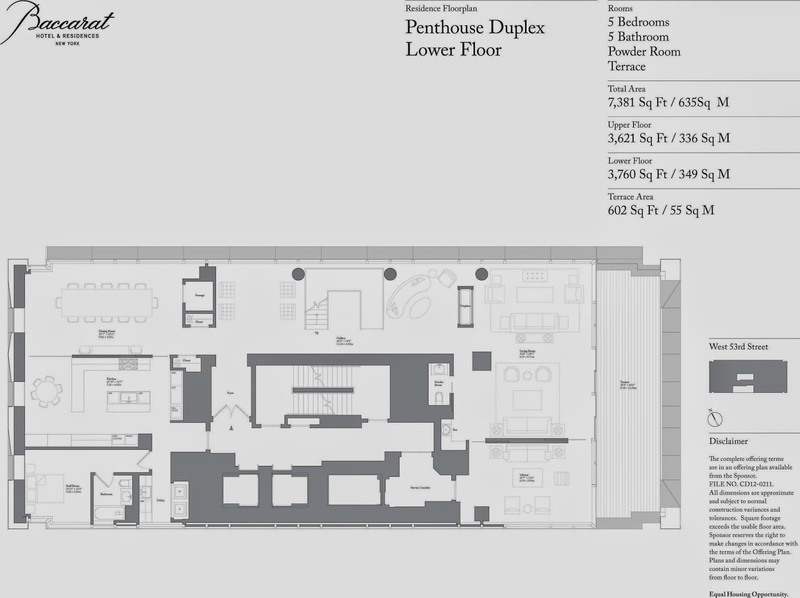 • This apartment (7,381 square feet) is just 7.6% the size (1/13th) of the beloved 97,000 square foot Donnell of the days of yore, yet. .
• . . It is on the market for more than 150% of what the NYPL netted selling the Donnell Library, which was less than $39 million. 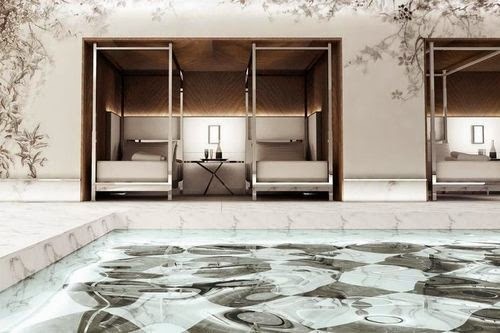 • This apartment devotes 3.737% of its space to a 275 square foot (21' 7" x 13' 1") luxury private library. 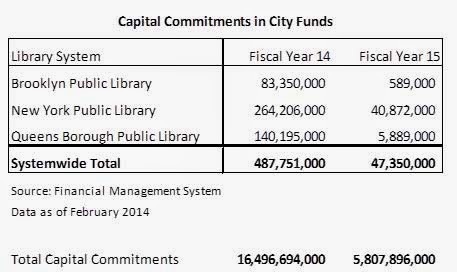 That 3.737% is several multiples of the percent of the NYC budget devoted to New York City's public libraries. On an all-in basis, (capital + operating expenditures), that percentage in the city budget, based on currently proposed figures, equals just 1% of the budget for Fiscal Year 2014 and, even less, 00.59% of the budget for FY 2015. We could go on making these comparisons. With the 7,381 square foot penthouse on the market for $60 million it could wind up selling for almost exactly the $60.8 million amount that the NYPL recently suddenly and secretively sold off 87%, 140,000 square feet, of the Science, Industry and Business Library (SIBL). SIBL, another regional library, was completed in 1996 for $100 million in public money, much of it new money provided by the taxpayers. It was just nineteen blocks south of Donnell on 34th Street and similarly just off of Fifth Avenue, this time on the East, Madison Avenue side. Analyzing city budget figures intelligently can be difficult, with adjustments required to make real sense of it. If you look at the city budget as including the state and federal funds that pass through, then the budget is a much bigger amount and the fractional percentage spent on libraries would consequently be much smaller than what is given above. Then there are adjustments that appropriately ought to be made so that skewing doesn’t result whenever the city makes annual forward payments for a future year out of surpluses when a year comes to a close. Additionally, capital improvements are frequently multi-year affairs so you have to be careful not to double count (or worse) such unspent budget items that reappear, reappropriated in order to be carried over into the successive budget years a project takes to complete. Maybe this is why reporters skip and neglect putting budgetary expenditures in perspective. In order to do so myself and ensure I was doing so accurately and appropriately I asked the city’s Independent Budget Office to supply the numbers after making all those appropriate adjustments. See below. Fiscal year 2014 is the year we are currently in. The figures for fiscal year 2015 are what Mayor de Blasio has currently proposed. These figures are not yet adopted and, as we will get to in a moment, it is the job of the City Council to react to them as it has already done this year. • Operational subsidies for Libraries represent 0.47% of Total City Funds in Fiscal Year 2014 and 0.58% of Total City Funds in Fiscal Year 2015. • Capital Commitments for Libraries represent 2.96% of Total Capital Commitments in Fiscal Year 2014 and 0.82% of Total capital Commitments in Fiscal Year 2015. Notice that the very biggest number in the two charts above is $264,206,000 for capital expenditures for the NYPL appearing in 2014. That number not only attracts the eye as being by far the largest number of any of the tallied numbers (the next largest number is more than $124 million smaller), it is also the most deceptive number of the batch. That’s because the NYPL is proposing to spend $150 million in new taxpayer money, not for the capital improvement of the city’s libraries, but to sell off and shrink the city’s libraries and to get rid of books, including dismantling the book stacks that hold 3 million books at the 42nd Street Central Reference Library. The figure is even more deceptive because that $150 million is just part of $350++ million that the NYPL proposes to spend on this library system shrinkage, thus requiring at least another $200 million in public money be spent on such shrinkage. With overruns the expenditures for shrinkage could easily mount up to a figure in in the neighborhood of a half billion. 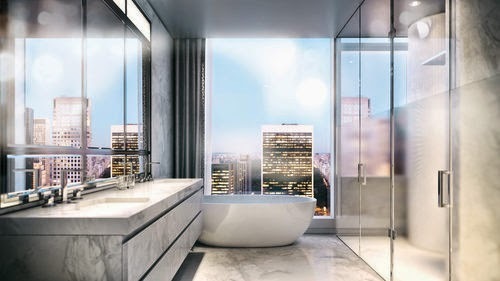 Ergo, at first blush it might look like that in FY 2014 2.96% of the city’s capital commitments (almost up near the 3.737% proportion of that penthouse private library), an aggregate number of $487,751,000 is going to be used to build and up and grow NYC’s capital library assets. Nevertheless, that $487,751,000 number must be balanced against the $350,000,000++ that is actually being directed to reduce, sell and subtract from those assets. That means that, in real terms, hardly any money, after such adjustment, only a really tiny percentage of the city's budget, is being spent to fix, build up and grow the capital assets of the library system. 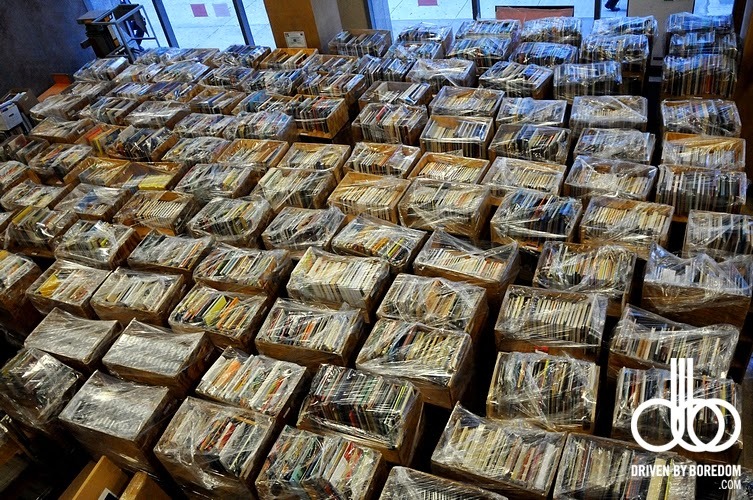 . . .
. . . That dismaying information doesn’t mean that this $350,000,000++ figure for selling and subtracting from the city’s library assets couldn't be spent, instead, to grow those assets: All of that money could be redirected to fix, improve and add to city library system assets. The $150,000,000 in new tax dollar appropriations could be reclaimed and redirected to all the libraries in the system. At the April 8, 2014 meeting of the Brooklyn Public Library trustees, BPL president Linda Johnson explained to the trustees how the city's three library systems `negotiate’ collectively for their capital needs with everything going into a central pot that is then divided up. So, reclaimed for other uses, the $150,000,000 could, would and should go to libraries in the Brooklyn and Queens system, not just the NYPL system that covers Manhattan, the Bronx and Staten Island too. In addition, killing the Central Library Plan would free up at least another $200,000,000 in immediately available NYPL funds that could also go to the NYPL’s branch libraries. While that $200,000,000+ could go only go to branches in the three borough served by the NYPL, the fact that it did so would make it easier to send more, or all, of the redirected $150,000,000 city taxpayer to Queens and Brooklyn. Would this reallocation of the money make a lot of sense? You bet it would! The high irony of the situation in New York is that it was a theoretical insufficiency of funds for capital improvements to the libraries that was cited as the justification for the agenda the Michael Bloomberg administration launched to sell off and shrink libraries. But the NYPL’s Central Library is so expensive that selling and shrinking libraries winds up being more expensive than fixing them! What’s the true cost of needed capital repairs for the libraries? You need to be careful. Why? It appears that the capital needs of the libraries were built up and exaggerated under the Bloomberg administration so that it could more easily make the argument for selling libraries. It therefore isn’t wise to cite any of the recently generated repair figures as reliable. The Brooklyn Heights Library air conditioning system broke down (and wasn’t repaired) just six months prior to the January 2013 announcement of its sale. Bloomberg administration era plans to sell the library, though secret, date back to at least 2008. That's suspicious as is the way the estimated cost of repairing that air conditioning system escalated continually, starting off at a relatively manageable figure and quickly becoming outrageous. Do we know what repairs to library buildings should cost and are we doing any apples to apples tracking to monitor and cross-evaluate? The situation is not quite what one might hope. Yesterday, (April 28th), at a City Council committee hearing about: “Tracking How the Department of Design & Construction Spends, Monitors and Discloses Capital Funding for Library and Cultural Projects” the attending City Council members got what should have been some eye-opening news. The city’s Department of Design & Construction (DDC) keeps track and evaluates some library projects, but not others. Sometimes the Office of Management and Budget is involved, and in the case of the Brooklyn Heights Library a private firm to whom chores had been passed off came in with escalated cost estimation figures. At the hearing, the new head of DDC, Feniosky Peña-Mora, testified that library renovation projects that are typically simple in scope average about $150 per square foot, and that in the case of new libraries or recent major renovations the average cost is $600 per square foot. Other cultural facility projects that he described as “broadly similar to the cost of our library projects” came in just slightly higher, at an average of $732 per square foot for newly-constructed or comprehensively renovated facilities and lower than libraries for simple interior renovations, at approximately $121 per square foot. The last publicly available version of the Central Library Plan resulted in an 80,000 square foot space replacing the Central Reference Library research stacks. The $350,000,000 starter figure for that amount of space comes out to $4,375 a square foot, about seven times the cost of new construction. The NYPL rather deceptively keeps calling its Central Library Plan a “renovation” but it is really wholesale conversion of the use, purpose and configuration of the library space to sell off and shrink what it owns. These astronomical figures make that all the more obvious. The NYPL's description of the plan as a “renovation” is really to bamboozle and lull into a sense of false security people for whom figures are a blur with everything depending on decimal points they can’t keep track of. What does DDC think of these astronomical figures? DDC has never been asked to look at these figures and put them in context, that context including how the money could otherwise be spent more efficaciously. 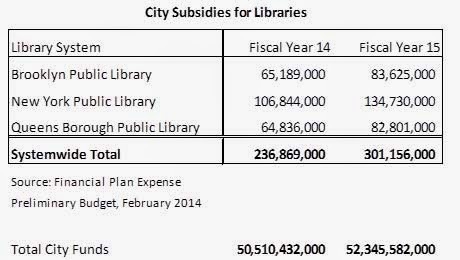 The way in which the $150,000,000 taxpayer dollars seems to bulk up the city’s FY 2014 capital expenditures for the Central Library Plan in the figures supplied by the Independent Budget Office above is deceptive in other ways. There currently is no workable Central Library Plan, the NYPL having acknowledged that the previous plan it came up with was flawed in the ways critics said. As of yet it has not come up with an overhaul and therefore the FY 2014 $150,000,000 is unlikely to be spent in 2014. Even if a new plan is presented, such a huge single expenditure is likely to be carried over and spent across multiple years, making it that much more appropriate that it should be considered averaged out or amortized over a number of years. City Council's Call For More Library Funds? Is It Up To Speed? The City Council document doesn’t specify how much more should be spent on capital repairs of the libraries. It doesn’t suggest that the Central Library Plan capital expenditures be redirected and it also does not estimate how much of whatever additional amount it recommends should be spent for capital expenditures could be reduced if the redirection of those hundreds of millions of dollars were rearranged. Too bad, because the City Council should be making these points emphatically. Notwithstanding, subsidies to sports venues like the Ratner/Prokhorov “Barclays” arena dwarf what we spend on libraries. Nor was the City Council being particularly brave in making the recommendation for more library funding: It is what the people want and a top priority of Community Boards; it's number one for boards in Brooklyn. Furthermore, as the council notes, its recommendation is not even to increase overall library funding when library use has grown 40% programmatically and 59% in terms of circulation, its recommendation is merely to restore previous cuts made by the Bloomberg administration during a period of city growth and prosperity and such increasing library use. During the Bloomberg administration much was made about what was cynically referred to as a “budget dance” or worse, where the mayor proposed drastic cuts to the library system to be followed, as everyone knew, by distracting spectacle and drama as a lot, but not all of those cuts were restored upon the insistence of the City Council, or made up for by discretionary funds from Borough Presidents and individual City Council members. Wonder why there’s more money spent on Queens libraries than on Brooklyn’s? Because Queens Borough President Helen Marshall in office until the end of 2013, viewed the libraries as important and directed significant discretionary funds in their direction while her Brooklyn counterpart, Marty Markowitz, a Bloomberg ally who was supportive of selling libraries, did not. This year much was being made at the March 11th City Council hearing on library funding about how the Bloomberg budget dance around library funds was being abandoned, with Mayor de Blasio proposing no cuts to library funding from the previous year’s budget. But this year there is still (see the council’s comment below) a “budget dance” to be done about restoring previous Bloomberg cuts that were accumulated over many years. The Council urges the Administration to increase funding to the three library systems by $35 million. This funding would go a long way to provide 6-day service, increasing hours of operation to over 50 hours a week, increasing education programs, and giving the systems leverage to increase non-city funds. Throughout the Bloomberg Administration the systems were forced to reduce hours, lay-off staff and limit their circulation in an effort to meet the budget reduction requirements. While the November Plan baselined funding for the three systems, it did not take into account the impact of budget reductions in the past. The City Council is concerned about the lack of capital commitments for the three Library systems in the out-years of the Preliminary 2014-2017 Capital Plan. The three systems have a total of $47.3 million in Fiscal 2015, $3.8 million in Fiscal 2016 and $2.1 million in Fiscal 2017. The Council urges the Administration to provide adequate capital funding to help maintain and revitalize these critical institutions. By providing the Libraries with almost no capital funding in the out-years of the plan, the Administration does not allow the Libraries to do any cyclical replacements of building systems, and provides little or no incentive for strategic planning for the future. Guaranteeing the three library systems a base level of capital funding would enable them to address the capital needs of the branches in a thoughtful and systematic way. Running Libraries: Playgrounds For The Wealthy? Libraries cost the citizens of New York practically nothing in terms of their benefit or how New Yorkers value them, but the trustees running the library systems are still proposing that libraries be sold off and shrunk. Maybe that is because they view libraries differently, more as their own playground of private assets despite their public funding. . .
. . . I wrote an April 1st satire at the beginning of this month, far too much of which was absolutely true if you clicked on the links. In it I discussed the private library in the penthouse of the Baccarat luxury tower and ridiculed the excuses being given for shrinking public library space and selling off public assets. I also imagined ways in which private apartment space in the towers replacing our libraries would become venues for the wealthy to enjoy, on a specially privileged personal and private basis, assets belonging to the public. Satire is challenging when reality outpaces your cynicism. At the April 8th Brooklyn Public Library Trustees meeting we heard the trustees discuss and describe to themselves a new program: They will be inviting famous authors to read at the trustees' homes starting May 20th with American Book Award and U.S. National Book Award winner Alice McDermott. The trustees were invited to think who their favorite authors are to invite to read. Albeit, this new program, for gatherings of contributors, is in the name of fund-raising, but these trustees who will get this private preserve benefit while the libraries are publicly funded are the same trustees who want to sell and shrink our libraries. And, it is important to remember, as was discussed here, how library funds raised are being used to sell and shrink libraries. Fine Tuning Our Calculations- Would Schwarzman Send NYPL a Bill? 2. We have to look at the substantial losses to the public that were incurred when Donnell and part of SIBL were sold off for pittances, bringing back into the system sums far less than was their value to the public. There are also those who may want to point out that NYPL trustee Stephen A. Schwarzman transferred $100,000,000 million to the NYPL at the time of the Donnell sale in the expectation that the money would be used for the Central Library Plan’s selling off of real estate. Setting a new precedent Schwarzman got his name emblazoned in five separate places on the stone of the 42nd Street Central Reference Library whose research book stacks would be destroyed as part of this sell-off and shrinkage. Some might want to point out that Schwarzman, head of the Blackstone Group, just one of whose seven major lines of business is the world’s largest real estate investment company, might be chagrined and feel betrayed if the NYPL doesn’t proceed with the sell-off of its real estate as he was assured was the plan when he advanced his money. Can it be envisioned that he might even irately demand his money back if it was proposed that the money be better spent to improve and expand rather than shrink the library system? Might there be a document that gives him that right? No matter, there were many who, only a few years past, gave their money to have their names on SIBL with that library standing as a memorial to the their generosity. If and when SIBL is completely sold that won’t be the case any longer. Besides, if Schwarzman takes his money back we’d still come out ahead and it would be good riddance: Among other things Schwarzman has been investing in fracking and privatization of prisons. Schwarzman’s name could be taken off the 42nd Street building, no longer appearing on as a proclamation of the research library’s imminent destruction. 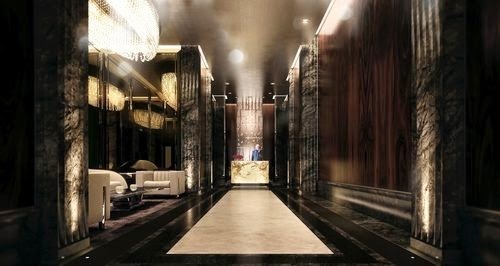 Below are the visuals of the Baccarat penthouse apartment that appeared in Curbed. One might note the bathroom emphasis in the selected visuals. 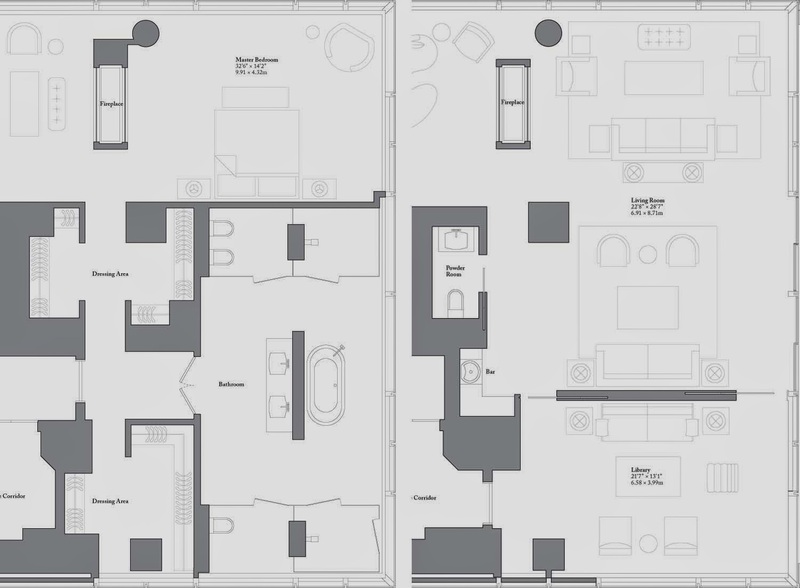 There are six bathrooms in the penthouse, one a “powder room” off the 22' 8" x 28' 7 “ living room (potentially actually a bigger room depending on where you think it actually stops). 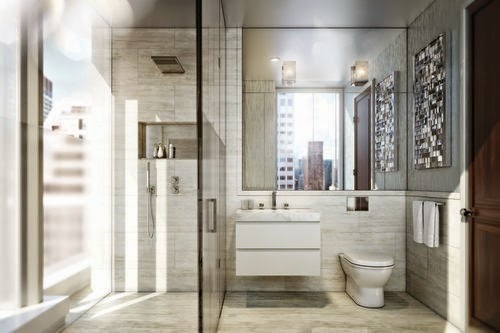 Despite the way that the library is featured, don’t think that the designers of the penthouse were envisioning that the buyers would be book-reading intellectuals with self-education their highest priority: Though no dimensions are given for the master bathroom, it easily eyeballs as appreciably larger than the featured library (see comparison below). It seemed to me that the percentage of space taken up by the private library was a pretty good surrogate both in maintenance and capital expenditure terms for how this future private apartment owner values books and libraries in his/her personal life. Of course with public libraries the equation is different in that we pool our resources because that way the resources go further with greater benefit and a much greater depth of resources can be accessed equitably and equally by all. Aren't libraries about democracy after all? 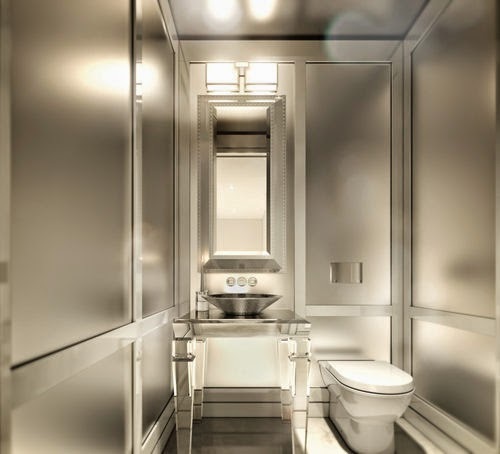 I suppose I could write about the percentage of space these bathrooms take up in the apartment as compared to what the city, in its budget, spends on sanitation, but that would be another article entirely. Besides, I think I’ve written enough in this particular article about matters of outrage going on in this city that ought to be tidied up. Books and materials on their way to eviction from the former Donnell Library. More pictures and a link to Driven by Boredom here. 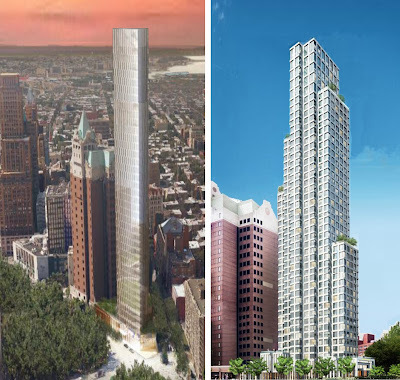 Two New Surprises Courtesy Of Forest City Ratner Respecting Luxury Tower Designs To Replace Brooklyn Heights Library: Modular Construction And A Museum Expansion! There are two new surprises with respect to the luxury tower designs that are in the running to be built at the site of the current Brooklyn Heights Library and replacing that library with a much smaller, largely bookless one, 25% of which will likely be underground. Previously it was known that none of the tentative designs scaled the buildings at the full size that would use all of the available development rights actually expected to be utilized in the end. That means design changes were expected.. . . 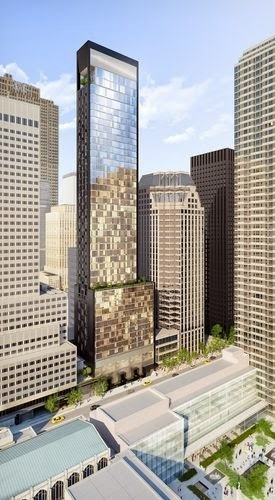 Tall new towers in Brooklyn Heights to replace the Brooklyn Heights Library? 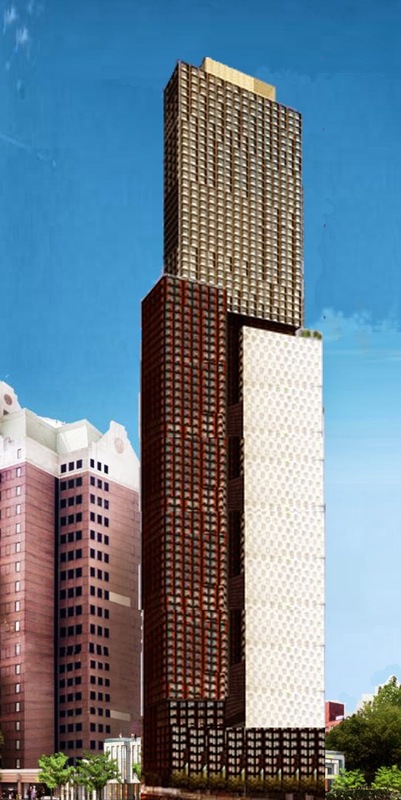 The image of the two non-modular unit towers above are of buildings whose potential height speculatively ranges, Photoshopped to show their tallest announced possible version for which an image isn't available. Maybe not what they will look like, but for other reasons they may be even taller.
. . . Now it turns out that the design changes will be more dramatic than expected. Forest City Ratner, owning the property adjacent to the library and effectively acting as the gatekeeper to the extra development rights, is requiring that no matter which developer proposal is chosen the new building be built with modular construction. Forest City’s new modular construction subsidiary, operating on a subsidized basis out of the Brooklyn Navy Yard, will provide the modular units. This way most of the construction can be done more cheaply off-site with the Ratner firm taking a profit percentage while whatever developer is ultimately selected can swiftly flip the units into a final building at less cost to itself. 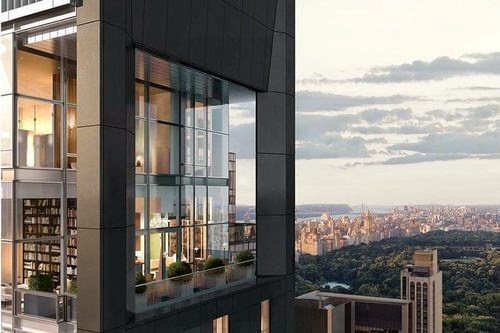 No doubt these units will be the first modular units to be targeted to the very high end clientele to whom the Brooklyn Heights apartments are expected to be marketed. At first, the Brooklyn Heights Association bridled at the idea of a new building that would be modular and it was ready to call upon Mayor de Blasio (who controls disposition of the city-owned land) to intervene: “Make the library smaller, but don’t sacrifice quality design in our neighborhood” was going to be the appeal, but FRC had a significant sweetener to toss into the deal. . . and that’s the second surprise. Forest City Ratner is providing the new museum by buying the artwork of the currently closed San Francisco Art Museum that is in storage and theretofore otherwise unavailable for view. 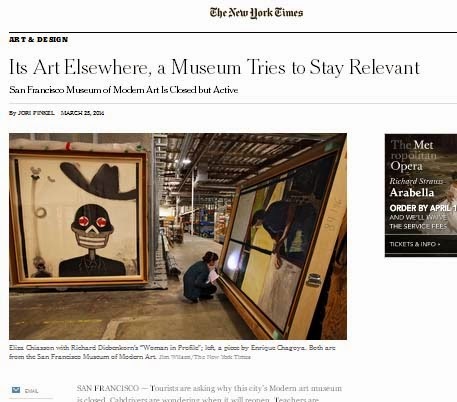 (See: Its Art Elsewhere, a Museum Tries to Stay Relevant- San Francisco Museum of Modern Art Is Closed but Active, by Jori Finkel, March 25, 2014.) The question might be asked: How can these works be displayed in a New York City Brooklyn Heights location without a significant loss to residents and museum goers of San Francisco? Will there be such a loss? 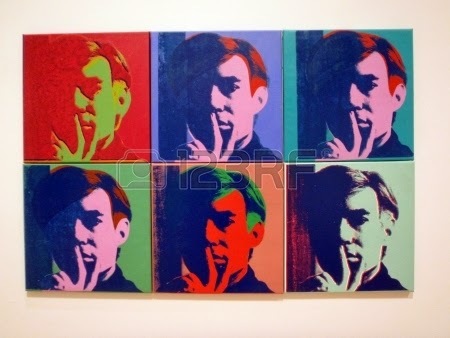 . .
San Francisco Museum Warhol with repeating images. 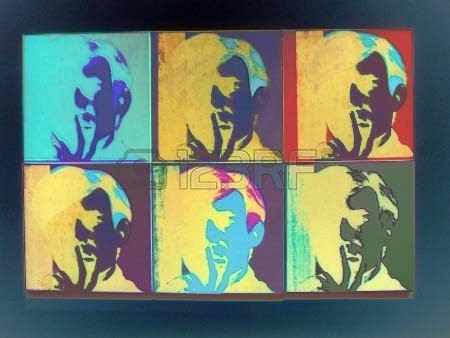 Those repeated images can easily e digitally repeated again, see below, even enhancing the meaning of the repetition. Most proudly, Ratner said that donation of art for a museum in the library space would effectively double the cultural space in the building. 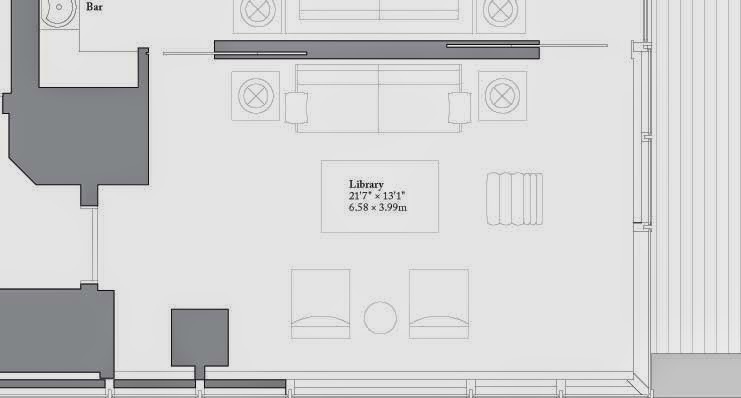 Many have criticized the diminished amount of space proposed for shrunken “replacement” library space as being far too small, 20,000 square feet vs. the current 63,000 square feet. But Ratner, concurring with Brooklyn Public Library pronouncements, said “you can’t measure space by square feet, you have to evaluate it by what is actually used and how its used.” Ratner said that the introduction of the museum would effectively double the space or more because the new library is already relying on computer, iPad and tablet screens for their reading pleasure in substitution for space-consuming physical books. “These very same screens can display the digitized artwork,” said Ratner triumphantly. A real estate advertisement for the luxury apartments that will replace the Donnell Library sold for a pittance. Looks like those buying them are expected to have many books, more than. . .
Book lovers can also be assured that, like the luxury Bacarrat going up at the site where Donnell was torn down, the apartments in the luxury building at the site of Brooklyn Heights Library will likely be full of books, a proximity readers can instinctually enjoy as they peruse their tablets downstairs. Might the library/art museum get too crowded with multitudes arriving to enjoy an air conditioned study of screens showing text or art? Ratner points out that as the art and text is all digitized nobody need even come to the physical space at all to enjoy these assets just so long as they pay him his collection fee for the art and make sure not to run up over-due fees on borrowed digital texts. “And we can always change the rules to discourage too much use,” he said. The one big hurdle for Ratner in pulling the art museum deal together was financing. The financing is coming: 10% from Ratner himself (reimbursed to him by a taxpayer subsidy) with the rest coming in equal parts from, Mikhail Prokhorov, Greenland Holdings Group of China, and through an EB-5 sale of green cards to Chinese millionaires and their families. This joint venturing group of investors will go by the name “Four Reins Investors.” Eventually, decisions about the ultimate physical dispensation and `patriation' of the art will have to be arbitrated between these investors. The Municipal Art Society, crediting Forest City Ratner with how the museum plan and modular housing will catalyze a revitalization of Brooklyn Heights, will be awarding its 2015 Jacqueline Kennedy Onassis Medal to Ratner, so that Ratner will be receiving this annual award for two years running. The 2014 award is going to Forest City Ratner for preserving a swath of Prospect Heights by tearing it down to build the Ratner Prokhorov Barclays arena while letting the rest of the destroyed neighborhood acreage lie fallow for a few decades. This is actually the second award that MAS has given Forest City Ratner for that decimation. MAS president Vin Cipolla said that the MAS directors are hoping that they can hand out the Onassis award to Ratner on an annual basis from here on in. The determination of the award is not made on a calendar year basis, he explained. The last day of March concludes the `award year cycle’ so, by coordinating with MAS to withhold the announcement of the museum plans and modular construction until the first day of April, Ratner qualified the plans for the 2015 award.